One of the most common requests we hear during our initial period with a new phone is “How does it compare to this phone or that phone?” To get out ahead of that we put together this video, which is 10 minutes of the Nexus 6P and Nexus 5X compared to the hottest phones on the planet, including the Moto X Pure, iPhone 6, Galaxy S6 and Galaxy Note 5, LG V10, and of course, the original Nexus 5 and Nexus 6. This video isn’t a software, performance, or feature comparison, it’s more of a, how this phone feels and looks next to that phone, type of comparison. We do this with most phones and you all seem to enjoy them, so here is that same approach with the new Nexus devices. 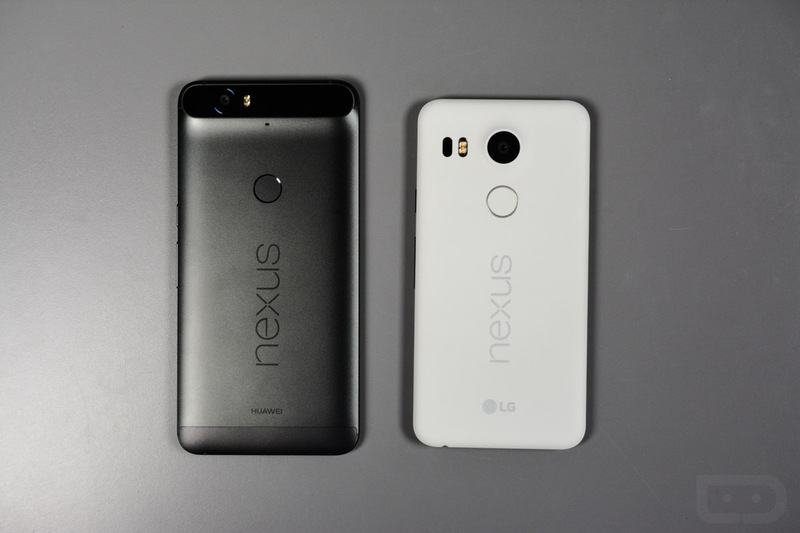 On a related note, if you haven’t yet, be sure to check out our Nexus 6P and Nexus 5X unboxing, along with big camera reviews and sample galleries here and here. It’s going to be a busy week of Nexus talk – I hope you are ready. The Nexus 5X and 6P Fingerprint Scanners are the Best.